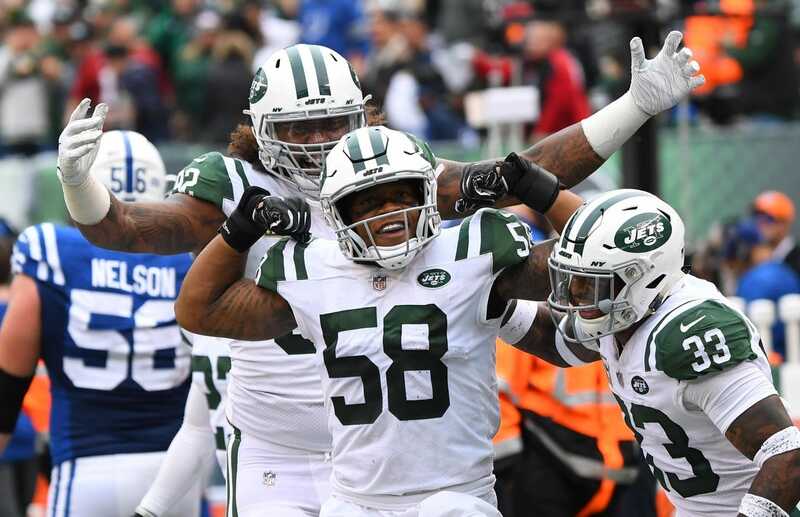 New York Jets linebacker Darron Lee has been suspended without pay for the final four games of the season for a violation of the NFL’s substance-abuse policy, the league announced Friday. Lee’s suspension begins with Sunday’s game against the Buffalo Bills. The suspension will cost him approximately $325,000. Lee is eligible to be reinstated to the active roster on Dec. 31, one day following the Jets’ season finale against the New England Patriots. Lee had 74 tackles and three interceptions this season. He returned one of the picks for a score. The third-year-pro has 241 tackles in 40 games with the Jets. Lee was the 20th overall selection in 2016 out of Ohio State.